We believe the flowers for your wedding should be unique. We do not offer pre-prepared packages, rather we prefer to discuss your individual requirements with you and tailor your wedding specifically to your needs. We can help you plan certain aspects of your wedding day, including Bridal flowers, table flowers, ceremony flowers and most other floral detailing. We also can help you with table accessories, gift ideas and chair covers. Have a look through our vast hire range that is always expanding. Our cost effective options really can help you style your event sensibly. 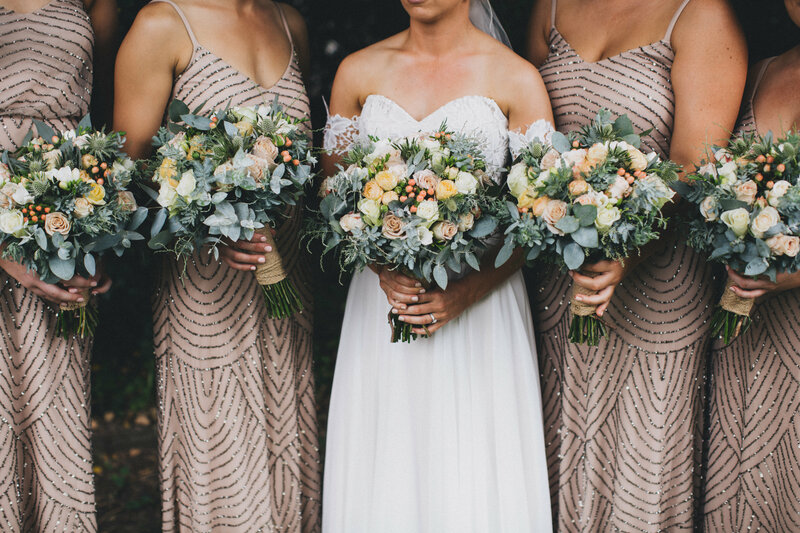 Your flowers are a very personal part of your wedding, so we prefer that you make an appointment to discuss your specific requirements and we will in return provide you with a written and detailed no obligation quote. We believe you should get to meet and choose your suppliers for such an important occasion and not have to pay for that choice. We also look forward to meeting with you and discussing your floral choices and this all help with us styling your bouquet to you and your style. It as important as meeting with your hairdresser, makeup artist and dressmaker. It helps us to get to know you and your taste and we can then style and size your bouquet accordingly. After all, it is your special day all about you and partner, and your flowers need to reflect this. We understand that in some cases it is not possible to make an appointment in person, if this is the case we will endeavor to provide you will the most accurate information possible via email correspondence. To organize an appointment, simply call 0431812962 and we can find a suitable time for you to talk to us about your wedding flower requirements.